There are two types of interfacing: fusible and sew on. For silk or plastic fabrics that you won't wash and that shouldn't be steamed, sew on is a good option because you won't damage the fabric by steaming the interface on. For most other things, fusible interfacing is a good option because it's easier than sewing each piece to the fabric. You should also choose interfacing based on weight--how stiff and thick you want your interfaced piece to be. To make a collar stand up or a tote bag sit upright on a table you want a heavier interfacing. For lightweight fabric and light tailoring you will want a lighter interfacing. Remember that, when buying interfacing in the store, it will be heavier once the glue is bonded to the fabric. So if in doubt, go with the lighter one. Silk Organza: This is a sew-in interfacing that is a great sheer interfacing for skirts and sheer fabrics that you want to give a little body to. The silk is much softer than polyester organza, so take note when purchasing. To "underline" a skirt (ie give it more body), cut out the silk organza with your pattern piece, baste the two together at 1/4" seam allowance, and treat the two as one piece of now slightly heavier fabric. Fusible Featherweight: This is good for light tailoring, like button holes and collars that you want to give some extra thickness to but that you want to remain flexible. This interfacing is thinner so you won't see the glue dots on one side--the rougher side is the side with the glue. Mid-Weight Fusible: This is good for coats, tote bags, and tailored pieces like collars and buttonholes that you want to be a little more stiff. Heavy-Weight Fusible: Good for coats, pieces that you want to be very stiff, bags, etc. (Note: interfacing can come in a few different colors, so you could get white or black in any of these weights). Easy-Knit Fusbile Interfacing: As the name implies, this interfacing is great for knits and other stretch fabrics as it will stretch slightly with your fabric. 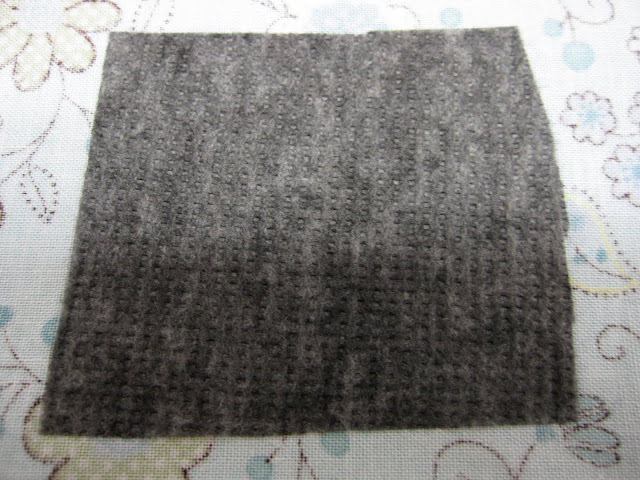 Horse Hair Canvas: This is an old-fashioned sew-in interfacing that used to be made from horse hair. It is used for traditional men's suits and very stiff pieces. Preparation: Generally, I don't pre-shrink my fusible interfacing. If you choose to do so, make sure not to put it in the dryer. Dunk it a few times in hot water (from the tap, not boiled) and hang to dry. The dryer or boiling water will cause the glue to start melting, which you don't want to do until you fuse it to your fabric. Cutting: Patterns will usually tell you which pattern pieces also need to be cut out of interfacing. Traditional instructions will tell you to cut the interfacing 1/4" smaller on all sides than the fabric so that the interfacing will not go too much into the seam allowance. Most modern interfacing is light enough that this does not matter. If you have lots of interfacing pieces to cut out, it may make more sense to fuse your fabric to the interfacing first, and then cut, although this may be more wasteful. Fusing: Set your iron to its hottest steam setting. Place a press cloth between your fabric and the ironing board and place your fabric wrong side up on the press cloth. 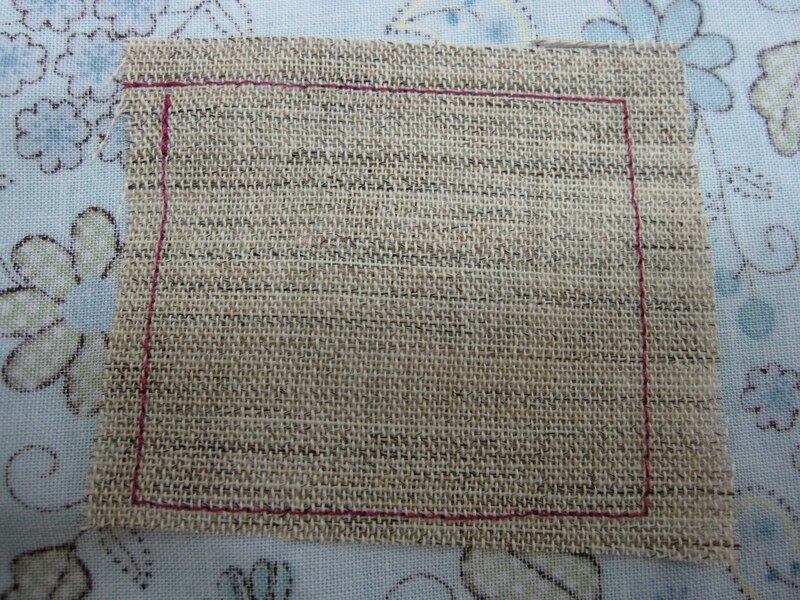 Put the interfacing on top, making sure that it isn't hanging out over the edge of your fabric. The side of the interfacing with the glue dots should be facing down (for finer interfacing, the rougher side should face down). Put a second press cloth between the interfacing and your iron. 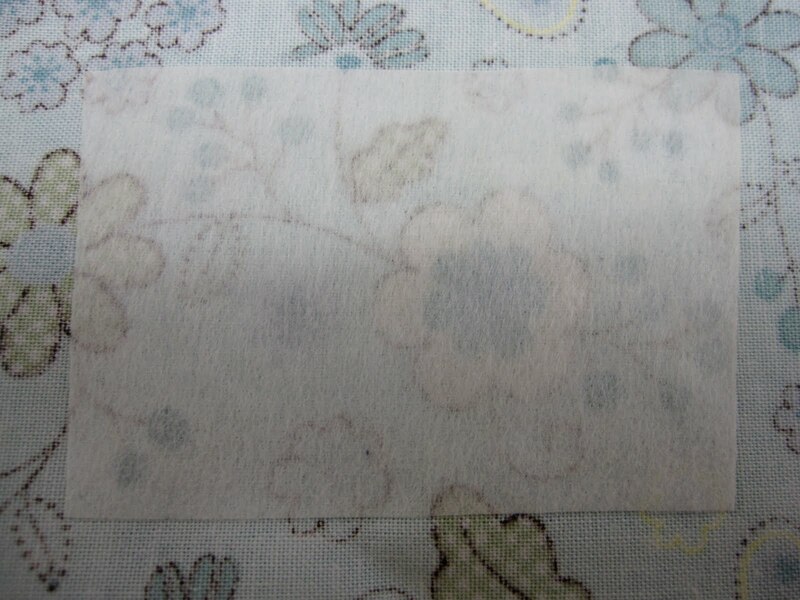 You want to prevent any glue from getting on your ironing board or iron, so the press cloths are important. Press, holding the iron down in one spot for ten seconds, lifting, and moving to the next spot, overlapping slightly with the previous press. Pressing is different from ironing in that you should not move the iron around as you press the interfacing. This may cause wrinkles to form in your interfacing and fabric. For more the manufacturer's directions, see the plastic slip that is wrapped around your interfacing that you buy at the store. Keeping this plastic is also helfpul in identifying the different types of interfacing you have once you are home and they have been buried away in your stash. 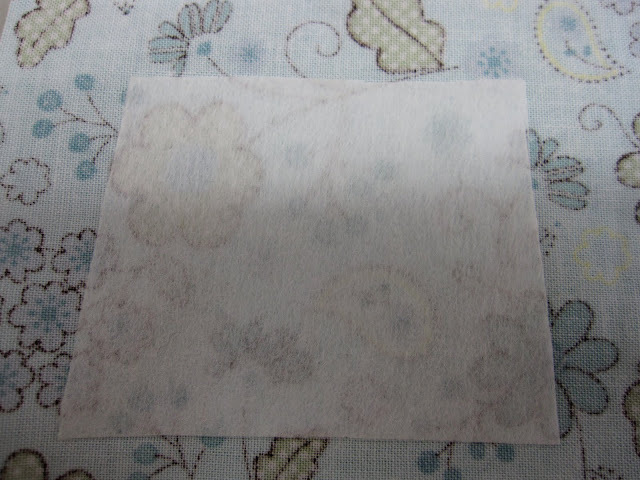 If you use cotton interfacing, make sure to pre-shrink as you would any fabric. Then follow the same cutting instructions as for fusible interfacing. Sew it to your fabric with a 1/4" stitch allowance so that the seam will be in the seam allowance. 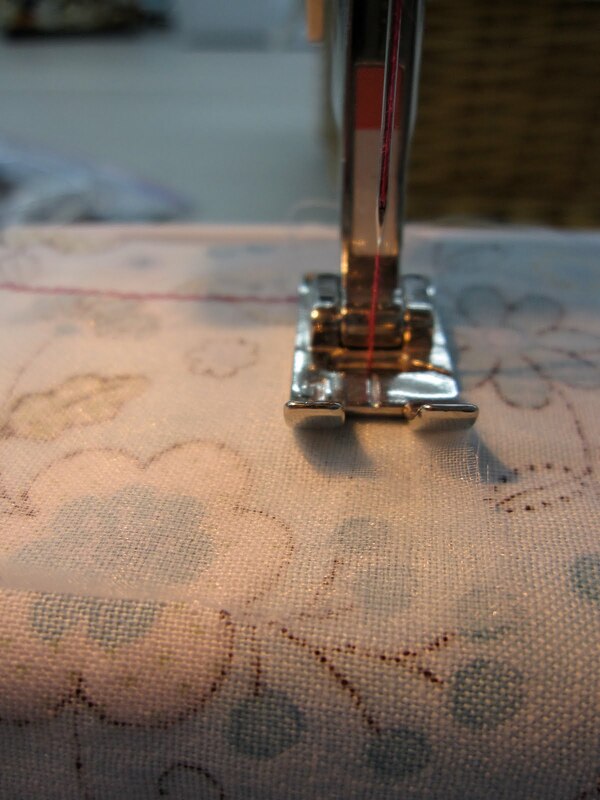 Sew with a shorter allowance if your garment's seam allowance is less than 5/8".